Four years living in a different country will change anyone. Especially if that country is Japan! Not wearing shoes in the house, sitting on the floor despite having a perfectly good sofa right next to you, eating salad with chopsticks (Try it. It’s so much easier), not feeling like you’ve finished a meal until you’ve had a bowl of rice (or two), bowing even while on the phone… the list goes on. 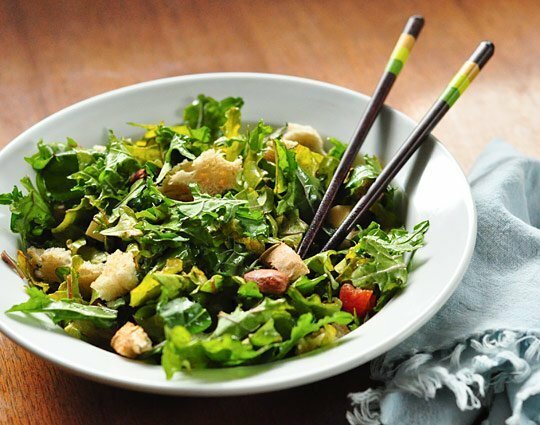 Salad with chopsticks? Try it. You’ll never try to stab a piece of lettuce with a fork again! Japanese was the first language that I learned to fluency and I have one of Japan’s greatest exports to thank for that: Karaoke! This article will cover how you can use it to learn any language to fluency “WITHOUT EVER HAVING TO SING IN PUBLIC”!!! Karaoke in Japan is as much a part of the culture as rice-balls and ramen. If you live there, it becomes part of your life; you go out for dinner with your friends, you end up singing karaoke; you have a staff party with your colleagues, you end up singing karaoke; it’s Wednesday, you end up singing karaoke. And the Japanese take their national passtime pretty seriously so you learn fairly quickly to improve your karaoke game. Pronunciation: listening to a song and repeatedly trying to match the way pronunciation of the singer is an amazing way to improve your accent and how you sound in your target language. I’ve spoken previously about how important pronunciation and understandability are when speaking a second language. Repeating a song over and over again allows you to practice the vocal chord/lip movements and breath control necessary to imitate a new language. Reading: karaoke involves reading the lyrics of a song in your target language at (what can be) a pretty challenging pace. That challenge and stepping out of your comfort zone can lead to a huge improvement in your reading speed. So, how do you actually go about improving your Japanese (or any language) with Karaoke? It’s as easy as following these 3 (or 4) easy steps. Pick your Songs: Find songs that you enjoy and that are of a relatively easy tempo. It’s important to start with slow songs at the beginning as it’s easier to keep up and follow the lyrics on screen. Starting off by trying to follow the lyrics of a fast paced rap song is not a good idea, no matter how much you like the song. Love songs (cringe) are usually ideal, just like this one below which became one of my karaoke staples. Download the songs to your computer/phone or create a specific “Lyrics” playlist on Youtube (some videos will even have the lyrics included) so you can always access them easily. Find and Save the Lyrics: Thanks to the good old internet you can now find the lyrics for virtually any song instantaneously. Find the lyrics for your chosen songs and save them in some form of file on your computer or on your phone. I personally save them to the memo app on my iphone (check out the picture below) but I’m sure there are better, more organized ways to store them for easy access. At this point you can also look up any new vocabulary or grammar that you don’t understand so you can actually know what the song is really about. 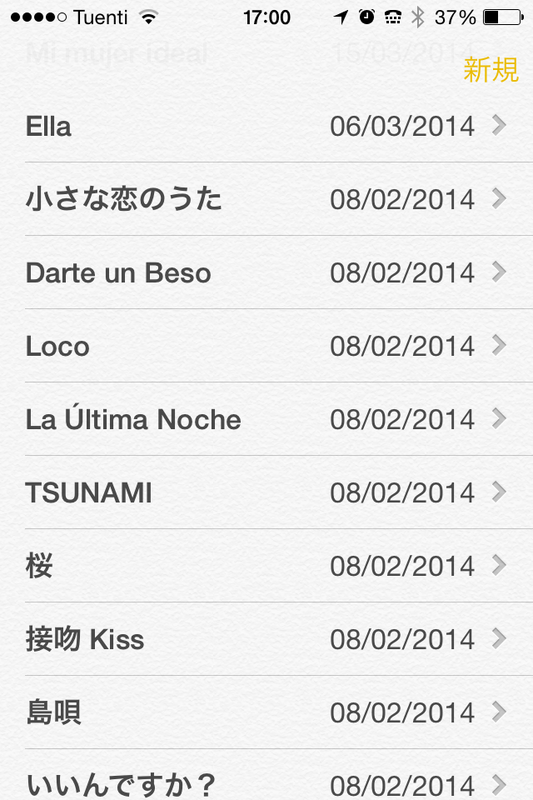 This is how I save lyrics to songs I want to my practice in the memo app of my phone. Practice: Here’s the fun part. When you have some down time just play the song you want to practice and recite the lyrics trying to match the cadence, intonation and sound of the singer. You can do it in the privacy of your own room and no one ever has to know about your new karaoke fetish. You can even practice in public without bothering anyone or appearing to be a total psychopath. For example, whenever I’m using public-transport I pop in my headphones and listen to my “Lyrics” playlist (I have one for Japanese and one for Spanish). Then I either recite the lyrics in my head as the song plays or I lip-sync the song. 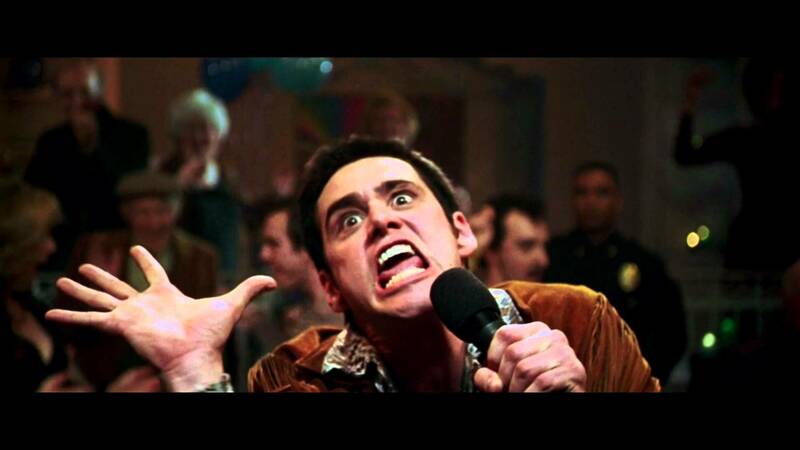 I consider lip-syncing the better option as you actually practice the mouth movements needed to produce the sounds. People do this on public transport all the time anyway (and it’s only annoying if they actually do start singing out loud). …or just sing in the shower like a normal person! Just think. With a little practice, this could be you! In all my time learning languages I have found this gives you some of the best bang for your buck when I comes to speaking improvement in relation to time invested. If you’re sitting at home in front of a computer right now you could literally start practicing this method in less than 30 seconds i.e. the time it takes to find a song on youtube and its corresponding lyrics. There’s no reason not to give it a try. Do I sing well now? F%&K NO! But I now have a repertoire of Japanese (and Spanish) songs that I can belt out (as long as I have the lyrics to follow on screen) whenever I end up at a Shidax. More importantly it has improved my spoken Japanese and Spanish considerably, which I’m happy enough with.